Oxymoron: What a weird word. The term consists of two conflicting Greek words: oxys, meaning sharp or keen (including mentally sharp) and moros, which means foolish. Many, particularly observant Jews, consider the terms Jewish Christian or Christian Jew to be oxymoronic. They simply don’t go together. Like east and west … never the two shall meet. In Orthodox or Conservative Judaism, it is beyond just a foolhardy contradiction for a Jew to become a Christian. A Christian Jew is a traitor to Judaism; renouncing all that is Jewish, both physically and spiritually. It is siding with those who have persecuted the Jews for hundreds of years … be it the Crusades, the Inquisitions, the pogroms, or worst of all—the Holocaust. However, the greater majority, by far, of those involved in these horrific events were Christian in name only. They were those who distorted the true Christian faith with extra Biblical man-made dogmas such as found in Roman Catholicism and pseudo-Christian cults. Even a few Protestants (such as Martin Luther) who rightfully exposed the false teachings of the Roman Catholic hierarchy, wrongly believed the true church has replaced Israel by inheriting (usurping) all the promises God made to the Jews concerning their destiny as a nation, especially Israel’s future restoration. See Eye of Prophecy articles, Replacement Theology Part I & II (Posted July 2014). Or those like Hitler and his Third Reich—an ungodly, Anti-Semitic, Anti-Christian, perverse, occult regime that used the insidious lies of Replacement Theology to justify murdering Jews, but also turned on both Catholics and Protestants. Hitler and Germany’s Third Reich were no more Christian than the Ayatollah and his Republican Guard of Iran. Jewish Christian … Christian Jew. Both designations mean the same thing with a slightly different emphasis. However, both are represented by the term that has, in the 20th and 21st centuries, reversed the rationale that a Jew can’t be a Christian and remain Jewish. That term is: Messianic Jew. They are Jewish Christians and they are Christian Jews. Please refer to Eye of Prophecy article, Messianic Jews … Who Are They? (Published 4-25-15). Jewish Christian: One who has experienced a spiritual rebirth by placing their trust for salvation and eternal life in Christ (Messiah) Jesus; yet one who remains Jewish by keeping the Jewish dietary standards, the Jewish Sabbath, and the Jewish Festivals. Christian Jew: A Jew who has become a born-again believer (true Christian) without in any way, shape, or form ceasing to be a Jew … birthright descendant of Abraham, Isaac, and Jacob. Or a Gentile believer who had previously converted to Judaism. Neither descriptive term nullifies the heritage of one who is born a Jew. Nor is a Jewish Christian (Christian Jew) obligated to continue Jewish customs or required to stop them. In Christ, we all have the liberty to observe certain days or not, to eat certain foods or not…. (Romans Chapter 14). Whichever designation is preferred or whatever a better definition of these two terms might be, they no longer rely on Judaism as a religion to save them or to make them righteous before God. Messianic Jews (and Gentile Christians) recognize that the criteria for being made right with God is exclusively through faith in God’s Promise to Abraham. Specifically, that Isaac would be the first child of promise who would bring the ultimate Child of Promise (Messiah Yeshua) as the world’s Savior, to the Jew first and then to the Gentile. “For God presented Jesus as the sacrifice for sin. People are made right with God when they believe that Jesus sacrificed his life, shedding his blood…” (Romans 3:25). “Yes, what joy for those whose record the Lord has cleared of sin. Now, is this blessing only for the Jews, or is it also for uncircumcised Gentiles? Well, we have been saying that Abraham was counted as righteous by God because of his faith. But how did this happen? Was he counted as righteous only after he was circumcised, or was it before he was circumcised? Clearly, God accepted Abraham before he was circumcised! “…So Abraham is the spiritual father of those who have faith but have not been circumcised. They are counted as righteous because of their faith. And Abraham is also the spiritual father of those who have been circumcised, but only if they have the same kind of faith Abraham had before he was circumcised. Clearly, God’s promise to give the whole earth to Abraham and his descendants was based not on his obedience to God’s law, but on a right relationship with God that comes by faith” (Romans 4:8-13, emphasis added). It has been said that the most Jewish thing any Jew can do is to believe and receive their Jewish Messiah, Jesus. I fully agree. Why? 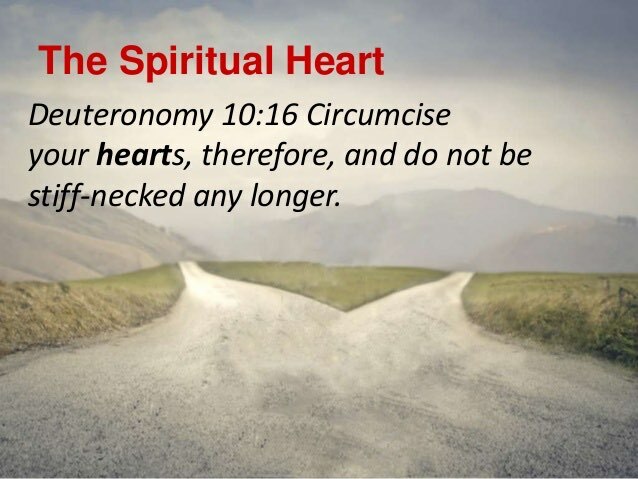 Because a Jewish Christian’s heart has been circumcised which is what God really wanted from his people in the first place. “Circumcise yourselves to the Lord and remove the foreskins of your heart, Men of Judah and inhabitants of Jerusalem…” (Jeremiah 4:4, NASB). Thus, it’s a matter of the heart … complete trust in the Lord’s Promise for redemption. As opposed to a circumcision (cutting away from pagan nations by keeping the ceremonial and civil law) of the flesh to be right with the Lord. And because a Christian Jew has become a spiritual descendant of Abraham; thus, fulfilling the very reason why God chose Abraham and Israel in the first place—to bring Messiah to the Jew first and then to the Gentile. When a Jew becomes a spiritual child of God (through Abraham’s ultimate Child of Promise) that doesn’t annul their national identity or inheritance as a Jew/Israeli. Nor when a Gentile becomes a spiritual descendant of Abraham (by the same faith in Messiah Jesus) does it mean he/she qualifies as a physical descendant of Abraham, with entitlement to the national promises God made to Abraham … the eternal possession of Israel and Jerusalem by God’s chosen people. Just ask any of the tens of thousands of Messianic Jews all over the world, and they will tell you why this is true. They will tell you that the veil that prevented them from seeing the source of their salvation has been lifted from their eyes. That once they were blind but now they see what spiritual redemption is all about. Shortly, we’ll look more closely at that veil. With an added footnote: Neither Jew nor Gentile should dismiss out-of-hand the phenomenon that many Jews the world over have acknowledged Jesus as their Jewish Messiah. This is far more than just a token number of Jews. It’s no coincidence that this world-wide wonder of many Jews embracing Jesus of Nazareth as Messiah as their Savior is a direct result of Israel’s miraculous (God-directed) rebirth as a nation in 1948, and especially since the reclamation of Jerusalem as the Holy City of the Holy Land in 1967—which gave rise to dozens of Messianic ministries and hundreds of global Messianic congregations. No different than thousands upon thousands of Jews in the first century (A.D.) who believed in Jesus as Messiah while Israel was still a nation. In contrast to their unbelieving Jewish brothers and sisters in the flesh, Messianic Jews fully realize that one can be made right with God even though the Old Covenant Levitical sacrificial system of atonement was terminated with the destruction of the Temple in 70 A.D. It was no mere coincidence that the loss of the Temple occurred in less than a generation after Jesus arose from the dead to prove that he was the Son of God. Who came as the New Covenant sacrificial Passover lamb to forever replace the need for ongoing sacrifices mandated by the Law of Moses (see the entire book of Hebrews). And certainly, no accident that the curtain which separated and kept sanctified the Holy of Holies was torn apart when Jesus died on the cross. See Eye of Prophecy articles, The Cross and the Torn Curtain, Part I & II (Posted February 2016). What about the Law of Moses? Must a Jew discount or even disregard the ceremonial, civil, and cultural parts of that Law when he or she accepts the Jewish Messiah Jesus as personal Savior? The answer is found in and prefaced by the all important need to identify exactly what the Law was intended to do in the first place. That and balancing the realization that: (1) the Law itself was very good. With the fact that: (2) no one can keep (all points of) the Law. Therefore, keeping of the Law is NOT the means of salvation … to be made right with God. That’s precisely why God announced through Jeremiah that—after giving his people hundreds of years to (unsuccessfully) demonstrate they could earn right standing with God by keeping the Mosaic Law, especially the moral component found primarily in the Ten Commandments—a New Covenant was necessary. “Yet we know that a person is made right with God by faith in Jesus Christ, not by obeying the law… For no one will ever be made right with God by obeying the law” (Galatians 2:16). Paul is not saying the problem is with the Law itself. Rather, Paul contends that it’s the notion (based on what the Jews had erroneously began to assume not long after the Law was given) that the keeping of the Law was the foundational basis for them to be accepted as righteous before God. Paul wrote the book of Galatians primarily to Jewish Christians in the province of Galatia (modern-day Turkey) to remind them that they had been redeemed exclusively because of their trust in Messiah Jesus, with nothing to be added to the Gospel, i.e. religious requirements of the law, like circumcision. And certainly not for Gentiles to first convert to Judaism before they could be saved by believing in the redemptive sacrifice of Christ. Paul continues: “For through the Law I died to the Law, so that I might live to God. I have been crucified with Christ; and it is no longer I who live, but Christ lives in me; and the life which I now live in the flesh I live by faith in the Son of God, who loved me and gave Himself up for me” (Galatians 2:19-20, NASB). Then Paul gets even more serious by asking a probing question with this blunt introduction: “Oh, foolish Galatians! … Did you receive the Holy Spirit by obeying the law of Moses? Of course not! You received the Spirit because you believed the message you heard about Christ…. In the same way, Abraham believed God, and God counted him as righteous because of his faith. The real children of Abraham, then, are those who put their faith in God. What’s more, the Scriptures looked forward to this time when God would declare the Gentiles to be righteous because of their faith. God proclaimed this good news to Abraham long ago when he said, ‘All nations will be blessed through you.’ So all who put their faith in Christ share the same blessing Abraham received because of his faith” (Galatians 3:1-9). *Note: Please see Eye of Prophecy article, Times of & Fullness of the Gentiles … What Do They Mean? Recently published on 4-21-18. Which addresses at length the difference between God’s two magnificent plans for humanity, a vital distinction to grasp for both Jew and Gentile. One for the individual identity of God’s chosen people the Jews and national identity as his special possession, Israel, including Israel’s final restoration. The nation of Israel and Jerusalem will be the centerpiece of the soon to come Kingdom of God on earth. The other plan is that of personal salvation to all people, beginning with the Jews and then extending to the Gentiles. Thus, when Paul declares that the true children of Abraham are those who place their faith in God, he’s referring to the spiritual plan of God to save both Jew and Gentile through the person of God’s Son, Messiah Jesus. “But those who depend on the law to make them right with God are under his curse, for the Scriptures say, ‘Cursed is everyone who does not observe and obey all the commands that are written in God’s Book of the Law.’ So it is clear that no one can be made right with God by trying to keep the law … This way of faith is very different from the way of law, which says, ‘It is through obeying the law that a person has life.’” (Galatians 3:10-12). Which is the reason that the Lord told his people that a New Covenant and the Messiah of that covenant was the only remedy to rectify their failure to keep the Old Covenant of Law. “This is what I am trying to say: The agreement God made with Abraham could not be cancelled 430 years later when God gave the law to Moses. God would be breaking his promise. For if the inheritance could be received by keeping the law, then it would not be the result of accepting God’s promise. But God graciously gave it to Abraham as a promise. “Why, then, was the law given? It was given alongside the promise to show people their sins. But the law was designed to last only until the coming of the child who was promised…. Is there a conflict, then, between God’s law and God’s promises? Absolutely not! If the law could give us new life, we could be made right with God by obeying it. But the Scriptures declare that we are all prisoners of sin, so we receive God’s promise of freedom only by believing in Jesus Christ. “Before the way of faith in Christ was available to us, we were placed under guard by the law. We were kept in protective custody, so to speak, until the way of faith was revealed…. And now that the way of faith has come, we no longer need the law as our guardian. For you are children of God through faith in Christ Jesus … There is no longer Jew or Gentile, slave or free, male and female. For you are all one in Christ Jesus. And now that you belong to Christ, you are the true children of Abraham. You are his heirs, and God’s promise to Abraham belongs to you” (Galatians 3:17-29). Observant (and even some non-observant) Jews in Paul’s time right up to the present day have not forgotten the reason why God chose them in the first place; to be separated from pagan nations, as the conduit of God’s Word and blessings for themselves and for all peoples. What some have misunderstood, and others marginalized is that these blessings would ultimately come through the Messiah, not by keeping the law of Moses, which they could not and would not do. They’ve dismissed to the point of rejection the historical evidence that Messiah and the New Covenant came to them with the birth, life, death, burial, and resurrection of Jesus of Nazareth in the first century. And that Messiah’s soon appearance will be his RETURN. Messiah was announced at the very beginning in the Garden of Eden (Genesis 3:15); then to Abraham through the first child of promise, Isaac, not Ishmael (Genesis 17:15-19); to Moses (Deuteronomy 18:15-19); through King David (Psalm 2, 22, & 110); the prophets beginning primarily with Isaiah (Chapter 53); and Jeremiah’s announcement of the New Covenant (Jeremiah 31). And other passages. Then the final prophet, Malachi, after which God did not speak to his people through prophets or angels, until the angel Gabriel made this glorious announcement: “…I bring you good news that will bring great joy to all people. The Savior—yes, the Messiah, the Lord—has been born today in Bethlehem, the City of David!” (Luke 2:10-11). Jesus brought and bought (with the enormous price of his very blood and life) the New Covenant to replace the Old Covenant. The curtain that separated the Holy of Holies (where the Ark of the Covenant rested and where God’s very presence dwelt until a few years before Solomon’s Temple was destroyed) from the rest of the Temple was torn asunder the moment that Jesus died on the cross. Then, just as Jesus had prophesied: less than 40 years later the Temple was demolished, and the Levitical sacrificial system was no more. “…This is a covenant not of written laws, but of the Spirit. The old written covenant ends in death; but under the new covenant, the Spirit gives life. The old way, with laws etched in stone, led to death, though it began with such glory that the people of Israel could not bear to look at Moses’ face. For his face shone with the glory of God, even though the brightness was already fading away. Shouldn’t we expect far greater glory under the new way, now that the Holy Spirit is giving life? If the old way, which brings condemnation, was glorious, how much more glorious is the new way, which makes us right with God! In fact, that first glory was not glorious at all compared with the overwhelming glory of the new way. So if the old way, which has been replaced, was glorious, how much more glorious is the new, which remains forever!” (II Corinthians 3:5-11). Unlike the Gentiles, whose laws (such as they were or didn’t exist at all) were both capricious and corrupt, God’s Law—beginning with the Ten Commandments—showed the Jews right from wrong, good from evil, life over death. In principle, the Law would give them life, but ONLY if they kept every aspect of the law. Alas, no one ever did, is doing now, or will ever do. Except one Man—Messiah Jesus! It’s not the Law that failed. The failure belongs to Jew and Gentile alike because we could not AND would not keep it. Thus, in practical reality, the Law can’t give life (eternal). Instead, the Law—as morally perfect as it is—became a curse. Trying to keep the law as a means of getting right with God is not only impossible, it’s a breach of God’s spiritual promise to Abraham. Which is the gift of God’s grace (unilaterally and unconditionally) to ALL who accept the gift by faith in the Child of Promise—Messiah Yeshua. That’s why Jesus, himself, said: “…I did not come to abolish the law of Moses or the writings of the prophets. No, I came to accomplish their purpose” (Matthew 5:17). What was that purpose? To make people right with God IF they completely obeyed (kept) the entire law and writings of the prophets. They/we couldn’t, but Jesus could and did! Which is why Jesus also said that when all is said and done, “This is the only work God wants from you: Believe in the one he has sent” (John 6:29, referring to himself). 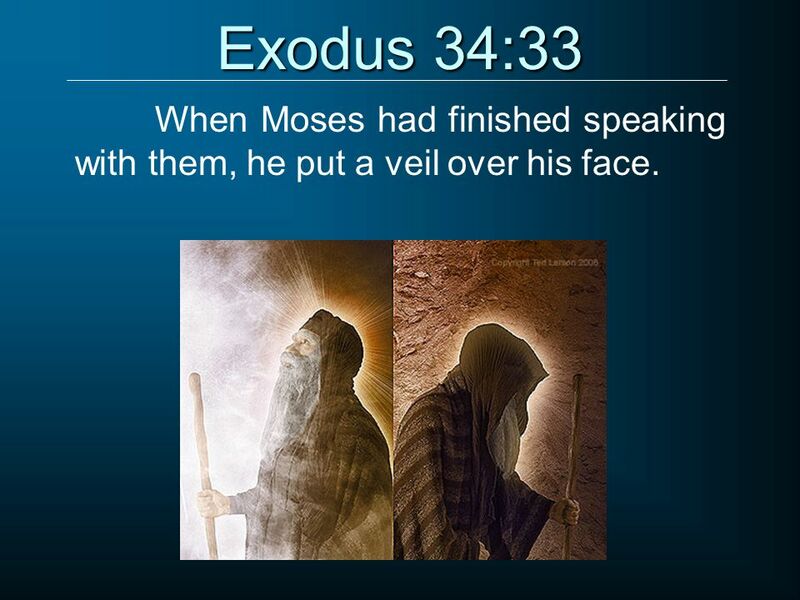 Next, Paul alludes to the Temple’s curtain by comparing it to Moses’ veil even before the Tabernacle (a portable forerunner of the fixed Temple), was built. Paul writes: “Since this new way gives us such confidence, we can be very bold. We are not like Moses, who put a veil over his face so the people of Israel would not see the glory, even though it was destined to fade away. But the people’s minds were hardened, and to this day whenever the old covenant is being read, the same veil covers their minds so they cannot understand the truth. And this veil can be removed only by believing in Christ. Yes, even today when they read Moses’s writings, their hearts are covered with that veil, and they do not understand. But whenever someone turns to the Lord, the veil is taken away. For the Lord is the Spirit, and wherever the Spirit of the Lord is, there is freedom” (II Corinthians 3:12-17). 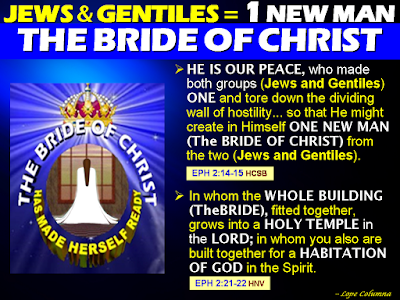 It all began when the curtain veil of the 2nd Temple was (supernaturally) ripped in half, signifying that all who believe and receive the mediator of the New Covenant, Messiah Jesus, have the awesome privilege of entering the Holy of Holies … God’s very presence. “And so, dear brothers and sisters (referring directly to Jewish Christians the main audience of the book of Hebrews, but also Gentile Christians), we can boldly enter heaven’s Most Holy Place because of the blood of Jesus. By his death, Jesus opened a new and life-giving way through the curtain into the Most Holy Place. 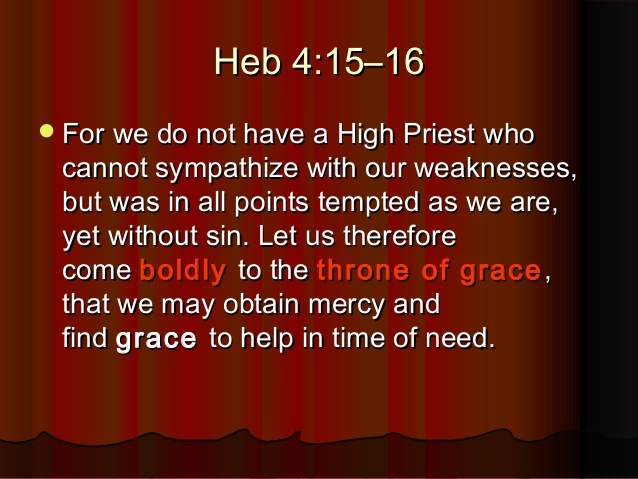 And since we have a great High Priest who rules over God’s house, let us go right into the presence of God with sincere hearts fully trusting him…” (Hebrews 10:19-22, parenthesis mine). Paul wrote that “to this day … the same veil covers their minds … and hearts.” Sadly, to this day has continued into the 21st century to most of the house of Israel. But that will all change and soon, for we are living in the Omega Generation. The final generation that will see the return of Messiah Jesus in “power and great glory” (Matthew 24:30). “…the longing of my heart and my prayer to God is for the people of Israel to be saved. I know what enthusiasm they have for God, but it is misdirected zeal. For they don’t understand God’s way of making people right with himself. Refusing to accept God’s way, they cling to their own way of getting right with God by trying to keep the law. For Christ has already accomplished the purpose for which the law was given. As a result, all who believe in him are made right with God. For Moses writes that the law’s way of making a person right with God requires obedience to all of its commands. “But faith’s way of getting right with God, says … If you confess with your mouth that Jesus is Lord and believe in your heart that God raised him from the dead, you will be saved. For it is by believing in your heart that you are made right with God, and it is by confessing with your mouth that you are saved” (Romans 10:1-6a, 9-10). That’s exactly what the New Covenant is and does, as first written about in the very Hebrew Scriptures (Torah … Tanakh) that so many Jews claim are the only Scriptures given by God. Ever so sadly, in so doing, they deny the clear evidence that Jesus of Nazareth historically fulfilled (matched) all the Messianic prophecies of the Old Testament. Including the Virgin Birth of Christ, his life in which he performed mighty miracles, his sacrificial death on the cross, and most of all his miraculous resurrection of the dead to ratify the New Covenant as recorded in the New Testament. Via the same Triune God—Father, Son, and Holy Spirit—who inspired writers of the Old Testament as well as writers of the New Testament (II Timothy 3:16). “But this is the new covenant I will make with the people of Israel on that day, says the Lord. I will put my instructions deep within them, and I will write them on their hearts. I will be their God, and they will be my people… And I will forgive their wickedness, and I will never again remember their sins” (Jeremiah 31:31-34). Said the Jewish Apostle Peter to the rulers and elders of Israel, “For Jesus is the one referred to in the Scriptures, where it says, ‘The stone that you builders rejected has now become the cornerstone.’ For there is salvation in no one else! God has given no other name under heaven by which we must be saved” (Acts 4:11-12, quoting Psalm 118:22). “For I am not ashamed of this Good News about Christ. It is the power of God at work, saving everyone who believes—the Jew first and also the Gentile. This Good News tells us how God makes us right in his sight. This is accomplished from start to finish by faith. As the Scriptures say, ‘It is through faith that a righteous person has life’” (Romans 1:16-17, quoting Habakkuk 2:4). A Jew doesn’t stop being a Jew when he or she accepts the Jewish Messiah Jesus as personal Savior. It is not a conversion from one religion to another, because the Christian faith is not a religion. Instead, it is a reconciled restored relationship with God, which is the very reason that God created us in the first place. 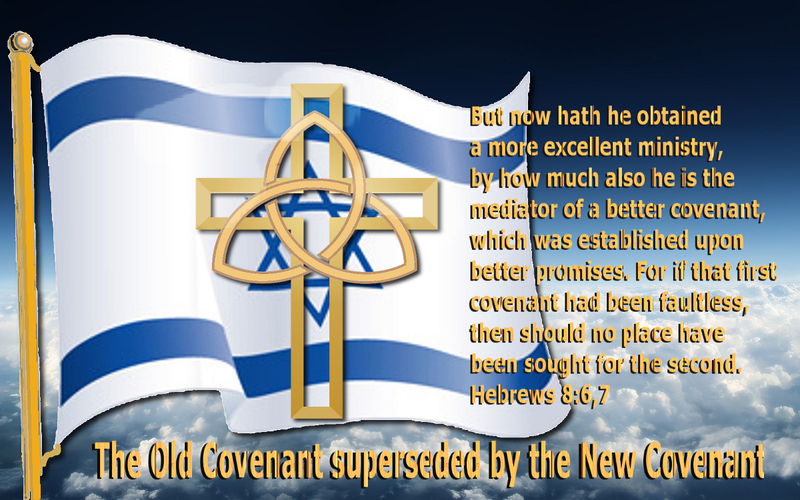 A Christian Jew has recognized that the New Covenant foretold by Jeremiah is the new and far better way to God. In fact, it’s the only way to God. Jesus said: “I am the way, the truth, and the life. No one can come to the Father except through me” (John 14:6). As a born-again Christian, a Jew is still a physical descendant of Abraham with all the rights of national inheritance and destiny afforded to God’s chosen people. And MORE: He/she is also a spiritual heir of God’s promise to Abraham, inheriting eternal life through the Child of Promise. A Jewish Christian doesn’t need to give up their Jewish traditions. 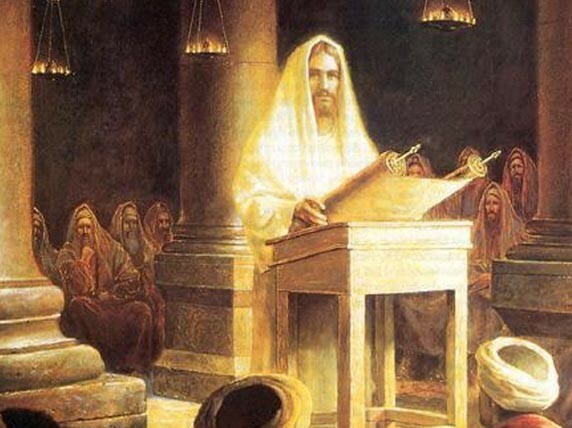 Jesus, himself, observed the Sabbath, attended the Jewish Festivals, and taught in the Temple and in Synagogues as a Rabbi. However, not like the other rabbis. “When Jesus had finished saying these things, the crowds were amazed at his teaching, for he taught with real authority—quite unlike their teachers of religious law” (Matthew 7:28-29). See Eye of Prophecy article: The Incomparable Power & Authority of Jesus Christ (Posted 5-28-16). The Jewish Apostles and other Jewish Christians of the first few centuries continued to observe the Sabbath and the Jewish Festivals, as do most Messianic Jews today. With, however, the understanding that each of the Festivals represented and pointed to Messiah. They keep the Sabbath (most on Saturday) but recognize that Messiah Jesus is Lord of the Sabbath. He is our Sabbath rest. They understand that the tabernacle and the temple were earthly patterns of the true heavenly temple. That each believer in Messiah becomes a temple of God, each believer a priest of God, each believer a living stone in the house of God, and a member of the body of Christ (I Peter 2 & I Corinthians 12). Regarding terms or labels, we gentile believers should be called Gentile Christians. With the term Christian applying first and foremost to (1st century) Jewish believers in Jesus. They were not called Messianic Jews to begin with. Jewish Christians (Christian Jews) were simply called Christians, and only then to identify themselves as belonging to the New Way (Covenant); in contrast to the Old Covenant that constituted what had become the ritualistic religion of Judaism. There is only one thing that a Jew must give up. Not the law itself. Rather, it is dependence on (keeping of) the law to make them right with God … meaning for salvation. Yet this is no different than any religion or belief system—be it Roman Catholicism, Islam, Mormonism, Hinduism, Buddhism, Cult (isms), Humanism, or whatever. Good works, religious observances, or achieving some irreligious ethereal plateau of paranormal existence, will never ever save anyone. It’s not God’s way. Just ask Abraham! The following passage sums this up as well as any: “God saved you by his grace when you believed. And you can’t take credit for this; it is a gift from God. Salvation is not a reward for the good things we have done, so one of us can boast about it” (Ephesians 2:8-9). Nor is this or should it be anything new, particularly to Judaism. It’s a New Covenant, because it permanently replaces the (temporary) old Covenant that God’s people couldn’t keep. But God’s Grace isn’t new. And it was a matter of faith in God’s forgiveness and pardon of sin through the shed blood of innocent animals to begin with. First with Adam and Eve, then Abraham (Genesis 15), then the Exodus Passover, then the Levitical sacrifices. All of which served as a prototype pattern to prepare both Jew and Gentile for the final, once-for-all substitutionary sacrifice of the precious blood and life of God’s Son, Messiah Jesus. 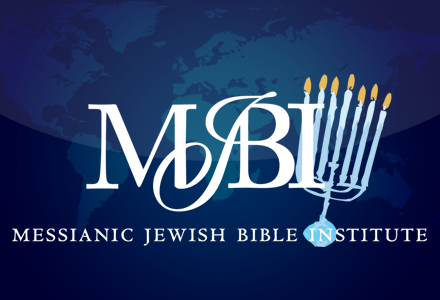 Although the significance of the Sabbath and Festivals for Jewish Christians has changed to a Messianic emphasis and remembrance, you can still observe them with unbelieving Jewish family members or friends, if they will let you. I’m sure it’s not easy, and especially painful if they refuse to even allow your presence during (for example) Passover. Yet all believers, Jew and Gentile, will experience some measure of resistance, resentment, or rejection, just as our Lord did. Perhaps everyone in your immediate family is a Jewish Christian! If so, praise the Lord! Whether a Gentile Christian or a Jewish Christian (Christian Jew), we want to keep the Lord’s commandments. Any celebration of the Festivals, the Lord’s table (communion), and/or observance of the Sabbath (Saturday or Sunday) is in gratitude for what Christ has done for us that we could never do for ourselves—pay the ultimate price for forgiveness of sin and pardon of sins penalty. We DON’T observe these things to get right with God. We DO them because we have been made right with God through faith in Messiah Jesus. We love him because he first loved us. Conversely, must you stop observing the Festivals or Sabbath or Kosher foods or any other Jewish custom? Absolutely not. The choice is yours. If you’re a non-Messianic Jew or unbelieving Gentile, please read at least one of the Gospels of the New Testament—perhaps the Gospel of John. You’ll see what Jesus is really like, who he really is, and what he has done for you. He is the Messiah! Now ask Him to be your Savior. And thank you Lord for grafting us believing Gentile branches into the spiritual tree of Israel (Romans 11)!